Tonight Jeffrey and I re-enacted one of our first dates. And we introduced Keith into the world of Ninja. 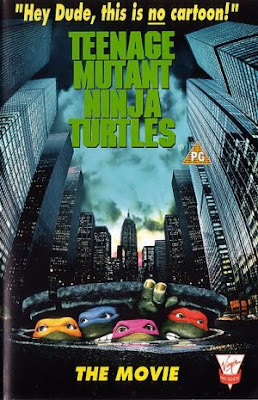 And what is a good TMNT movie night with out a little of this? Liven' the memories and making new ones. I tell you what, that is what life is all about! How much fun!! I don't think I could reenact my first date with the hubs...we met at 1 in the morning! !